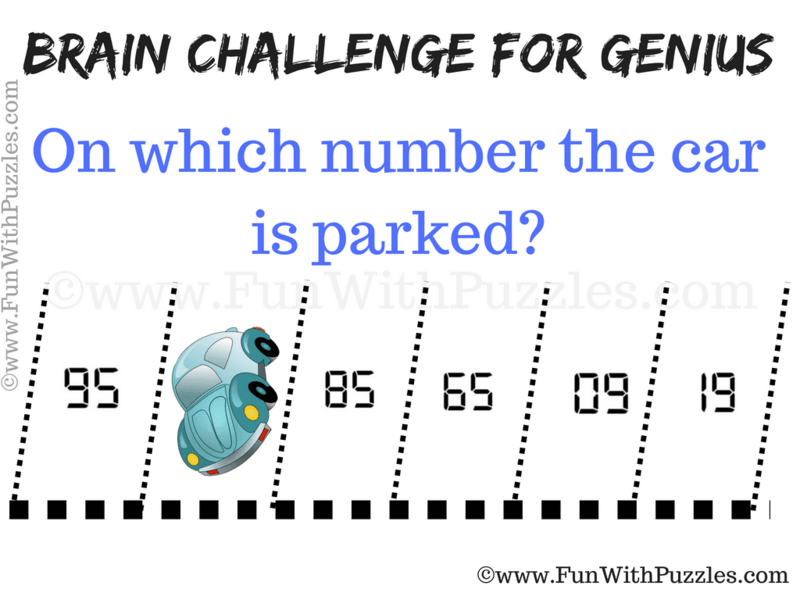 This is Parking Puzzle for Genius which will make you think out of box. In this Parking Puzzle, you are shown the car parked in a parking lot. Study the sequence of the parking slots and tell the number on which car is parked? Can you find on which number the car is parked? 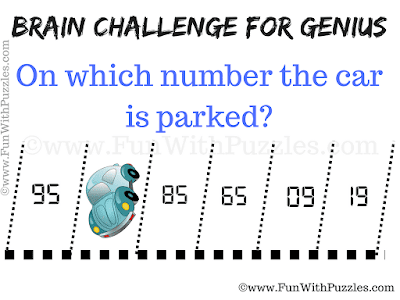 Answer of this "Think Outside the Box Parking Puzzle", can be viewed by clicking on answer button. Please do give your best try before looking at the answer.